The Pro 2 is a true modern mono synth with some very clever tricks up it’s sleeve. Four oscillators capable of many waveforms, FM and AM along with a cool new dual filter, 16 track sequencer, paraphonic mode (play the oscillators like a poly synth) and modulation depth rivalled by few all add up to a serious instrument capable of much more than your average mono synth. TQS have crafted a bank of fabulous sounds. Expect supernova basses, heat-warped leads, alien textures, and beautiful paraphonic deep-space pads. Delivered in MIDI sysex and SoundTower editor format. Detailed installation instructions are included in the download package. 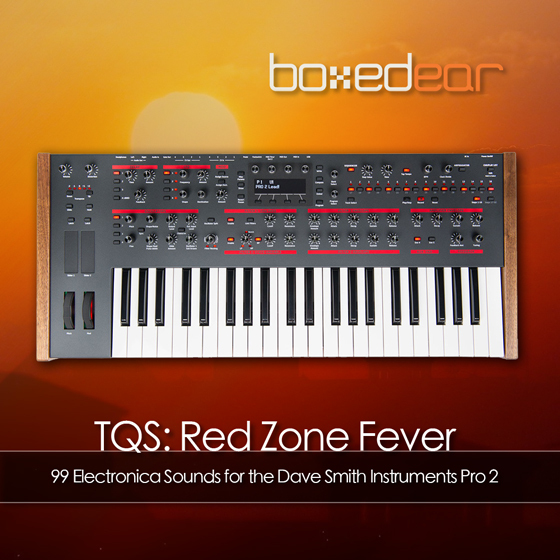 This sound bank is only compatible with the Dave Smith Instruments Pro 2. Check out our sound banks for other Dave Smith Instrument synths.